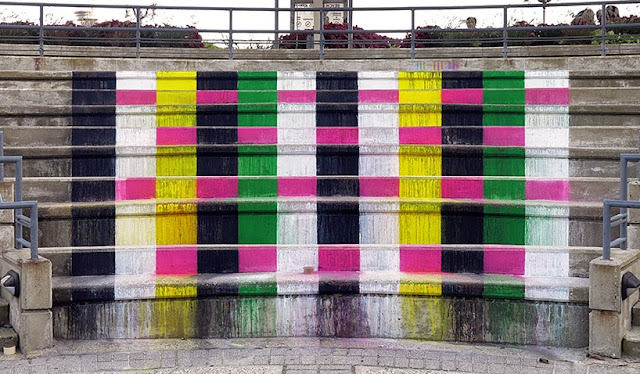 "Italian Artist Mimmo Rubino aka Rub Kandy never fails to miss an opportunity to transform objects & places into his canvas, be it a cement truck or steps of an amphitheatre. His most recent projects titled ‘Atlantica’ is yet another feather in his cap. 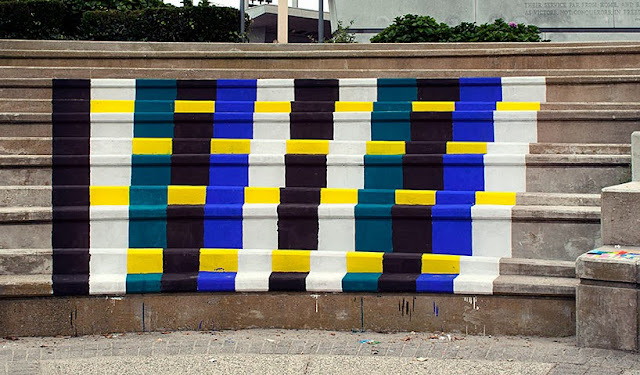 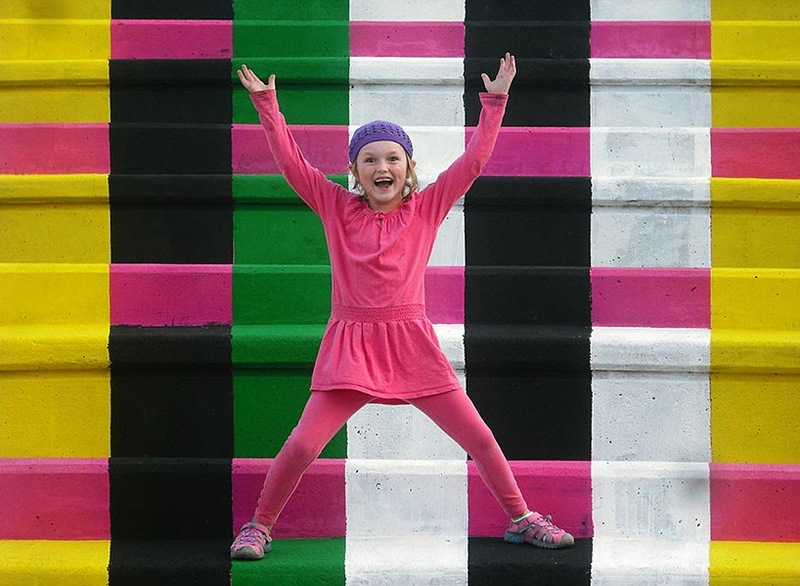 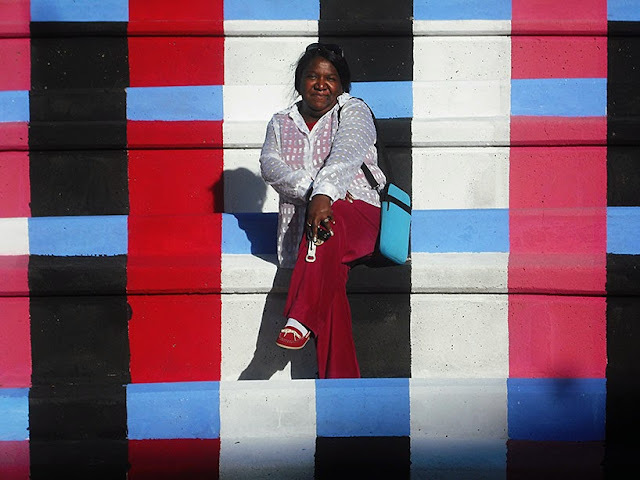 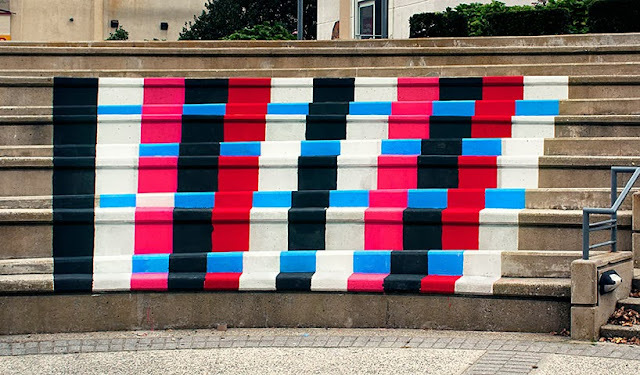 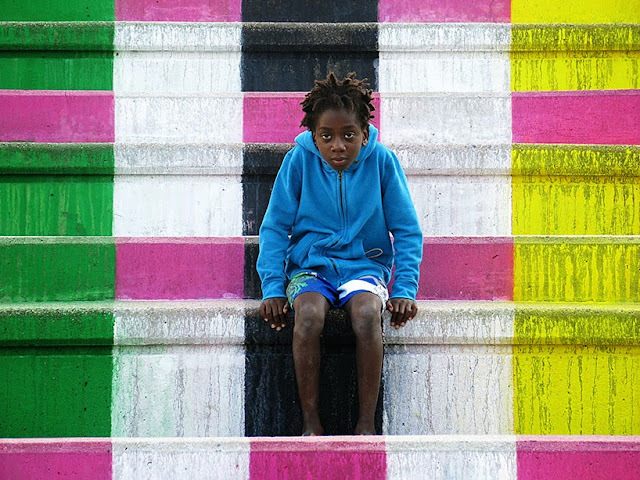 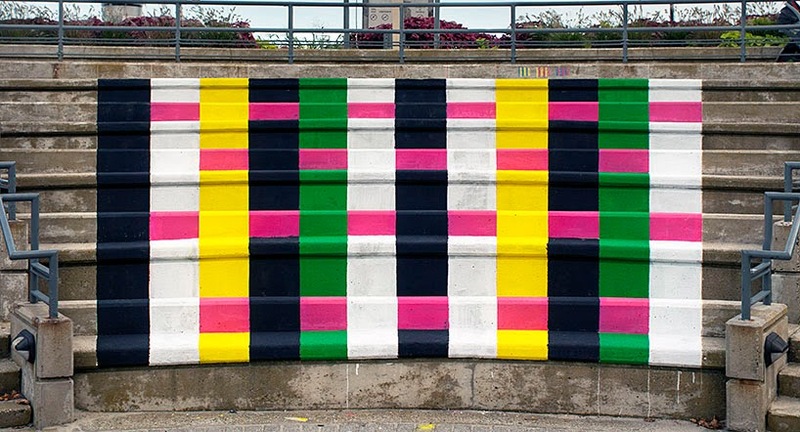 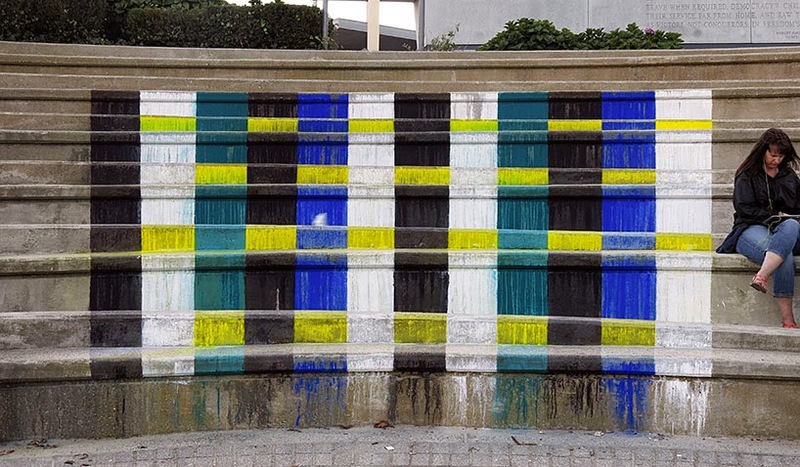 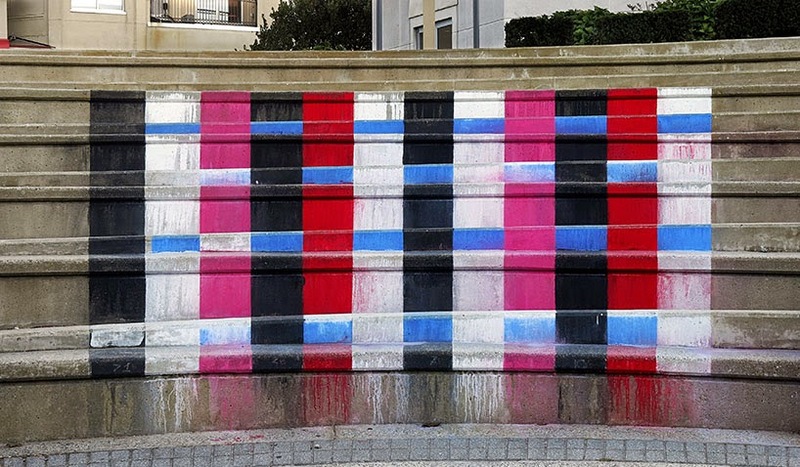 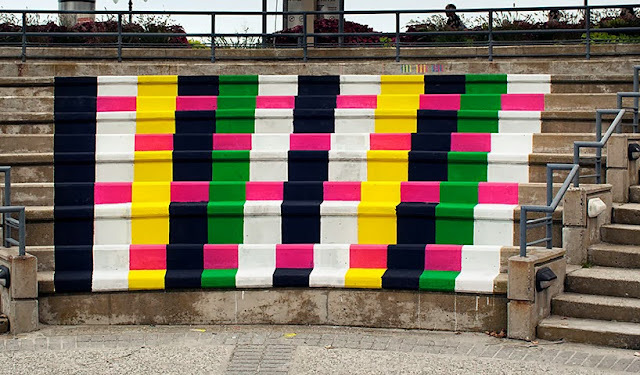 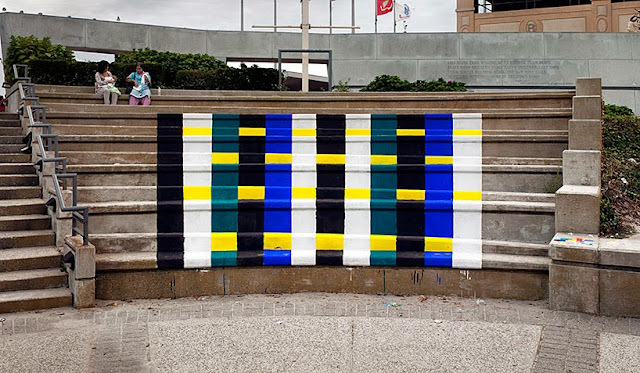 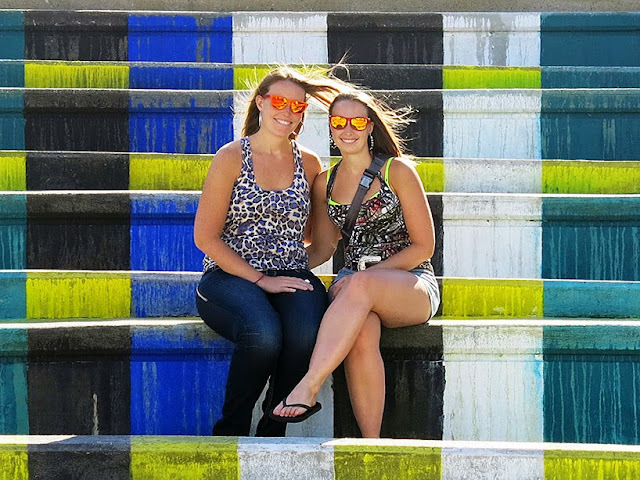 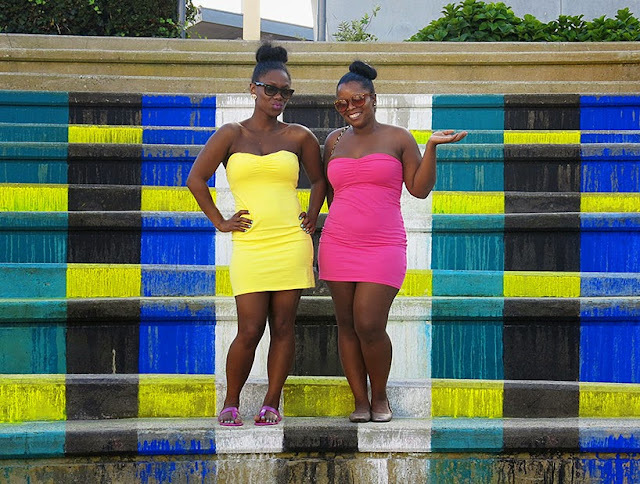 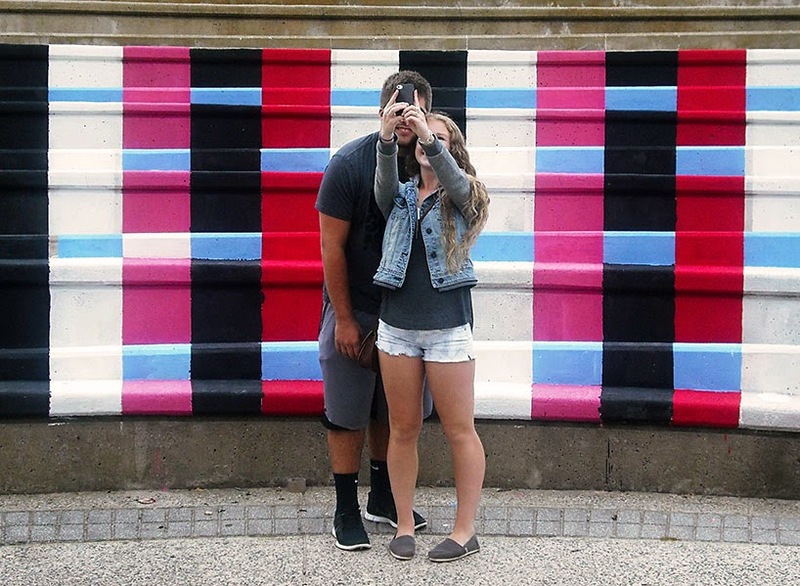 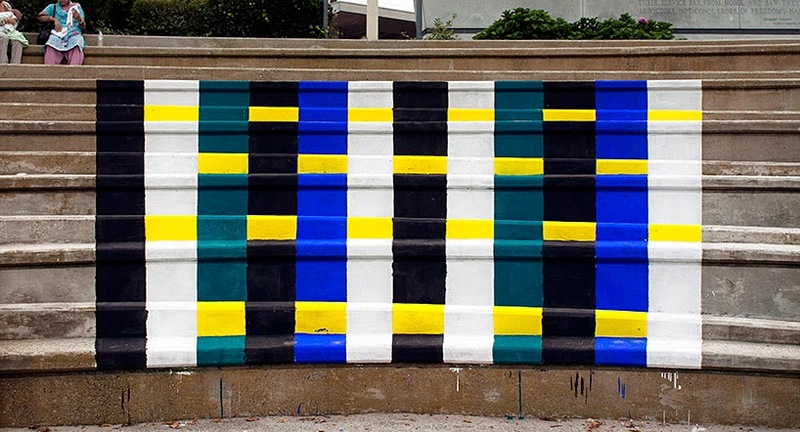 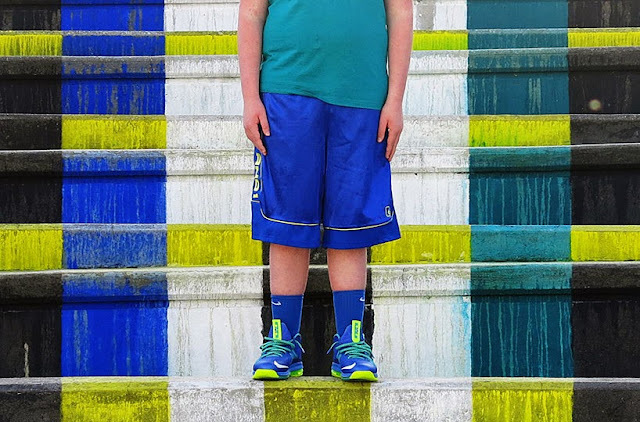 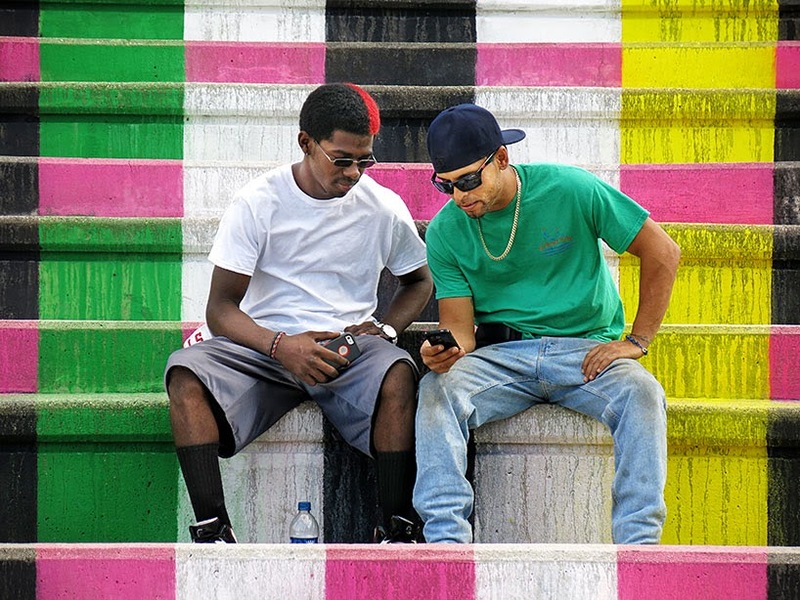 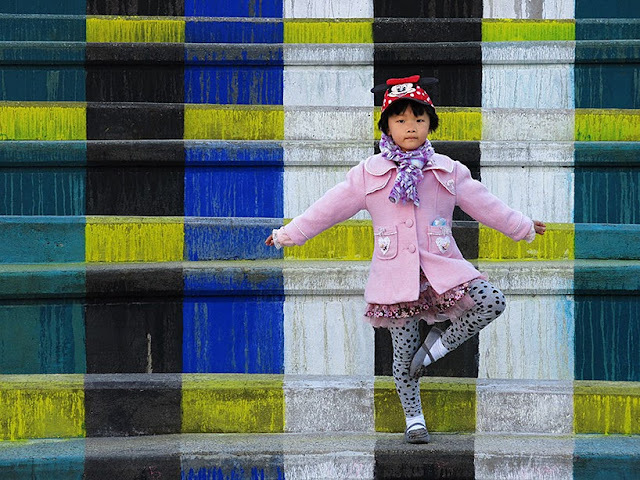 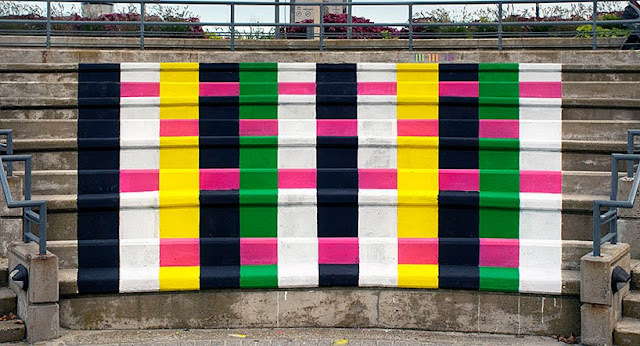 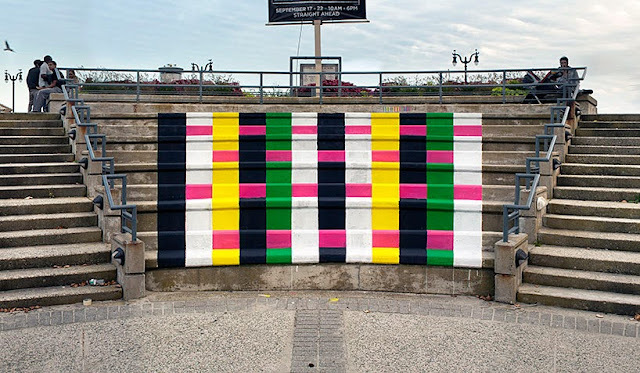 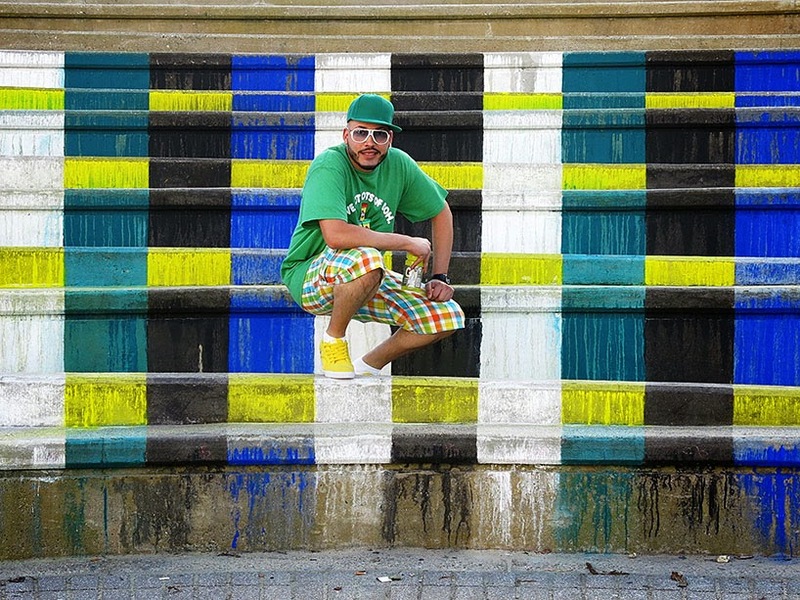 The steps of an amphitheatre in Atlantic city have been painted in different colour combinations representing three different flags inspired by American culture. 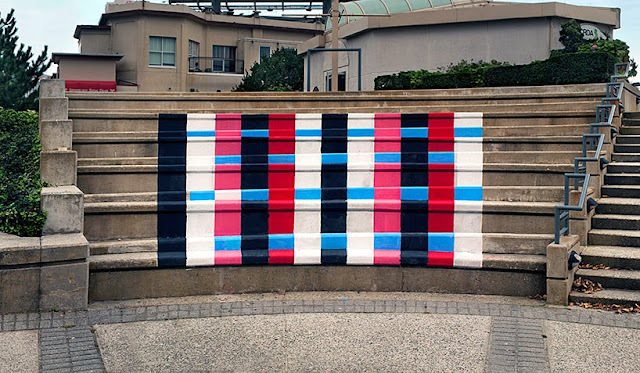 While the ‘Uncle Sam’ flag colour palette is directly inspired by the United States flag, the ‘Bubble Gum’ flag colours are inspired by the American pop scene and sugar food culture (Ice-creams & candies). 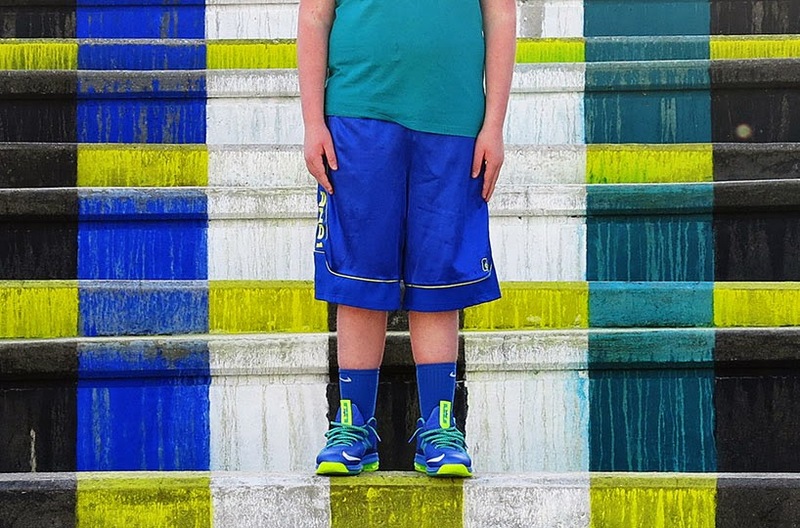 The ‘Atlantica’ flag colours are the colours of the Atlantic ocean, the blue and the turquoise of the sea and the yellow of the sun. A three dimensional effect is achieved on the basis of the vertical lines chosen by the artist arbitrarily and the horizontal lines which already exist in the layout of the architecture. 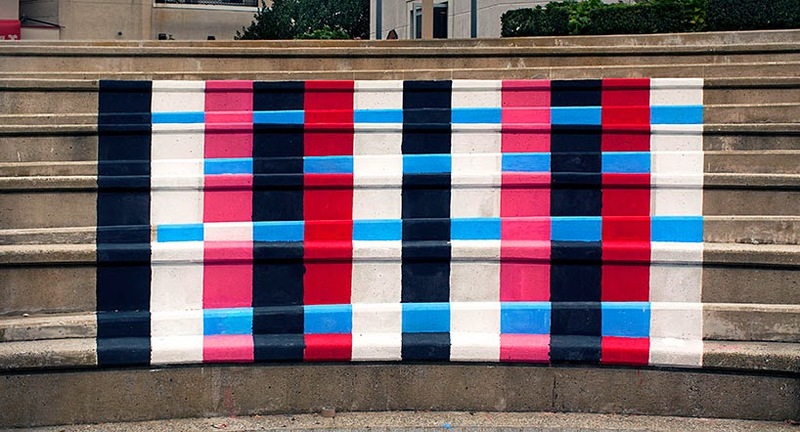 This 3D effect has been well rendered in the ‘Uncle Sam’ and ‘Atlantica’ flags. 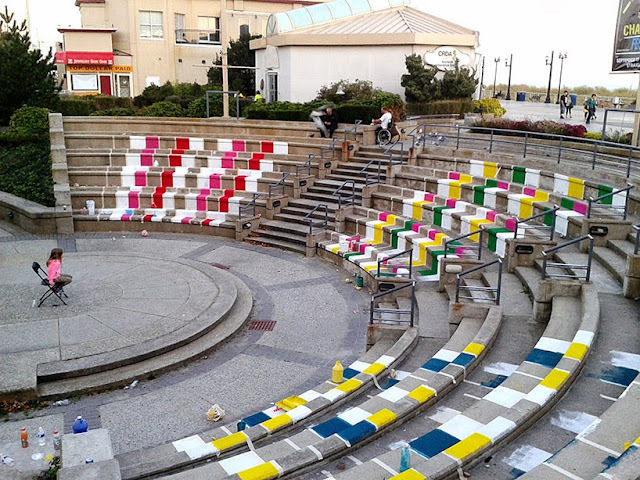 The three flags can be viewed together from the centre of the amphitheatre and the stage.